The Indian Government’s crackdown on black money continues unabated and a spate of prosecutions have been launched in the recent times under the Prevention of Money Laundering Act, 2002. This article is an attempt to demystify the law relating to money laundering in India and provide a brief overview of its scheme and operation. 1. 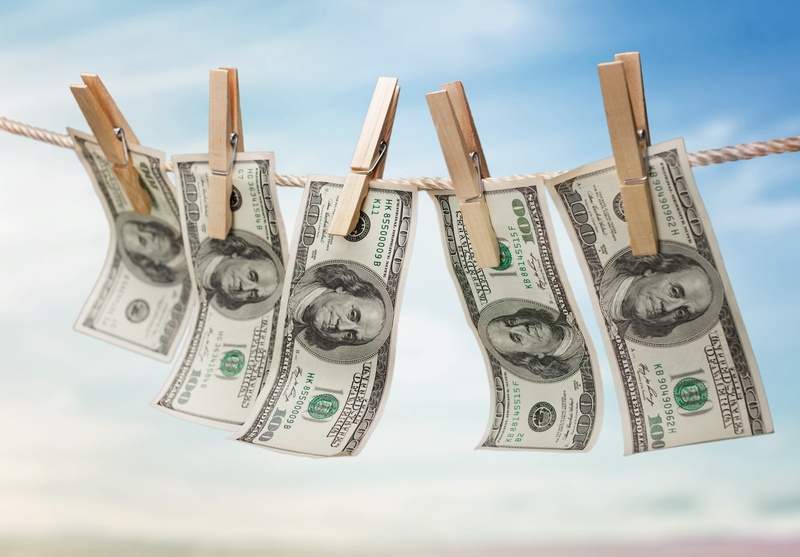 WHAT IS MONEY LAUNDERING ? In the third and the final stage, money enters the financial system in such a way that original association with the crime is sought to be obliterated so that the money can then be used by the offender or person receiving as clean money. This is called ‘Integration’. Structuring, Bulk Cash Smuggling, Cash Intensive Businesses, Trade-based laundering, Shell companies and trusts, Round-tripping, Bank Capture, Gambling, Real Estate, Black Salaries, Fictional Loans, Hawala, False invoicing are some of the common methods of money laundering. 2. WHAT IS THE INDIAN LAW ON THE SUBJECT ? To deal with any other issue connected with money-laundering in India. Apart from the provisions of PMLA, there are other specialised provisions such as RBI/SEBI/IRDA anti money laundering regulations. Many of these authorities are bound to provide suspicious transaction reports, which are in-turn analysed by Financial Intelligence Units established by the Central Government. 3. WHAT IS THE LEGAL DEFINITION OF MONEY LAUNDERING ? shall be guilty of offence of Money-Laundering. It is clear that the section is most widely worded and almost any kind of dealing with the proceeds/fruits of crime, is brought within the purview of the section and made culpable. To further add teeth to this provision, the Finance Act of 2015 has further widened the definition of proceeds of crime and included within its ambit not only the specific property (which is the subject matter of money laundering) or its value, but also the property-equivalent in value held within the country (in a situation where property which is the ‘proceed of crime’ is taken or held outside the country). Such properties are also included within the definition of ‘proceeds of crime’. This principle of equivalence has been introduced by the Finance Act, 2015 for the first time. To illustrate, if a person X has been accused of having proceeds of crime in country X, in that situation, his assets in India of the same value will qualify as ‘proceeds of crime’, even though these assets per se are not the ‘proceeds of crime’ or in no way connected to it. This has been done with a view to enable action in those cases where ‘proceeds of crime’ are taken or held outside the country and to allow action to be taken for attachment of equivalent asset located within the country. This step appears to have been taken in view of the increasing internationalisation of crime. However, this gives rather wide and unguided powers of attachment to the authorities under the Act, which may be exercised arbitrarily. A reading of the above definition of ‘proceeds of crime’ also makes one more thing clear, which is extremely crucial to an understanding of the offence of Money Laundering, which is that the offence of Money Laundering is not an independent crime; it depends upon another crime, which is known as the ‘predicate offence’ or ‘scheduled offence’, the proceeds of which are made the subject matter of crime of money laundering. The world over, countries include almost all serious crimes as predicate crimes for the purpose of money laundering offence, with a view to widen the ambit of prosecution. In the next section we deal with the Schedule and the list of predicate offences. 4. WHAT ARE THE SCHEDULED/PREDICATE OFFENCES WHICH ENTAIL PROCEEDINGS UNDER PMLA ? Part A enlists offences under various acts such as : Indian Penal Code, 1860 (including but not limited to offences against Property such Cheating, Forgery, Counterfeiting, Fraud, murder etc) Narcotics Drugs and Psychotropic Substances Act, 1985, Prevention of Corruption Act, 1988 SEBI, Customs Act, 1955, Foreigners Act, Arms Act, Antiquities and Art Treasures Act, Copyright Act, 1957, Trademark Act,1999, Wildlife Protection Act, 1872, Information Technology Act, 2000, amongst others. Part C deals with trans-border crimes, and reflects the commitment to tackle Money Laundering across International Boundaries. 5. AUTHORITIES ENTRUSTED TO INVESTIGATE/PROSECUTE UNDER THE PMLA? Though the Code of Criminal Procedure governs the procedural aspects of prosecution, there are marked deviations from the standard procedure considering the special nature of the offence (including its cross border character) and slightly different process is envisaged. The offence is cognizable which means arrest can be made without a warrant.3 There is a specialised investigative body for investigation of these offences. The Directorate of Enforcement in the Department of Revenue, Ministry of Finance is responsible for investigating the offences of money laundering under the PMLA. Investigation usually begins with the registration of an Enforcement Case Information Report (also known was ECIR) which sets the investigation into motion. This authority is empowered to carry out interim measures such as survey, search, seizure and arrest of the accused. Similarly, if an asset is found to be the proceeds of crime, the same can be confiscated and appropriated by the Government. Financial Intelligence Unit – India (FIU-IND) under the Department of Revenue, Ministry of Finance is the central national agency responsible for receiving, processing, analyzing and disseminating information relating to suspect financial transactions to enforcement agencies and foreign FIUs. The predicate/scheduled offences are separately investigated by agencies mentioned under those acts, for example – the local police, CBI, customs departments, SEBI or any other investigative agency, as the case may be. After investigation is complete for the offence of money laundering, a complaint is filed by the investigating authority before the Special Court, where the trial for the offence actually takes place. As opposed to this, the process relating to attachment of property (including its confirmation) is dealt with by the Adjudicating Authority established under the Act. 6. ACTIONS THAT MAY BE INITIATED AGAINST PERSON LAUNDERING MONEY? Attachment of property under Section 5, seizure/freezing of property and records under Section 17 or Section 18.
which may result in frustrating any proceedings relating to confiscation of such proceeds of c rime . If the aforesaid conditions are satisfied, the authority may by order in writing, provisionally attach such property for a period not exceeding 180 days from the date of order. Under normal circumstances, presence of a complaint/police report against the accused for the predicate/scheduled offence, whether in India or abroad, is a necessary precondition for provisional attachment of property. This is, however, not an absolute pre-condition and in cases where immediate attachment is needed and non-attachment is likely to frustrate the proceedings, the Director or the Dy.Director, for reasons to be recorded in writing, may nevertheless go ahead with provisional attachment even with there being no prosecution qua the scheduled offence against the accused. It may be noted that there is no provision for a prior notice of a provisional attachment and the same can come like a total bolt from the blue. What happens post-provisional attachment ? 8. CAN PROVISIONAL ATTACHMENT BE INVOKED AGAINST A PERSON NOT ACCUSED OF ANY SCHEDULED OFFENCE ? The answer is Yes. Provisional attachment can be invoked even against a person who is not accused of any ‘scheduled-offence’. A conjoint reading of Sections 2(s) and 2(u) reveals that reference made is to ‘any person’; this coupled with the purpose and intent of the Act, calls for a wide interpretation. In fact, Section 5(1) second proviso specifically allows attachment of property in the hands of a third person even without there being a prosecution qua that person under the PMLA. It provides that if the designated officer has reason to believe that the property in possession of such person is involved in Money-Laundering, and non-attachment will frustrate any proceedings under the Act, he can go ahead and attach the same. The essence of the matter being ‘freezing of tainted assets’ at the earliest. However, even post attachment, the person may continue in the enjoyment of the property during the period of attachment, but is prohibited from creating any third party interest in the property. We have already seen that after provisional attachment u/s 5 of the PMLA, the Director has to file a complaint before the Adjudicating authority. Section 8 of PMLA lays down an elaborate procedure for adjudication of a complaint under Section 5 of PMLA. It calls for a show cause notice to be issued to the offender/person from whom property has been seized, so as to give the person an opportunity to make a case against attachment/confiscation. Such a person, in order to avoid confiscation, can demonstrate the legitimate sources of his income, earning or assets, out of which or by means of which he has acquired the property attached, the evidence on which he relies and other relevant information and particulars, and to basically convince the authority as to why all or any of such properties should not be declared to be the properties involved in money-laundering and confiscated by the Central Government. The Authority after giving him a hearing reaches a finding, which needless to state is open to challenge before the Appellate Tribunal. after the confirmation of provisional order of attachment, the Director or any other officer authorised by him in this behalf shall forthwith take the possession of the attached property. Essentially, once the provisional attachment is confirmed, the final fate of the property depends on the decision of the Special Court (trying the offence under the PMLA). If the offence under PMLA stands proved, the Special Court shall order confiscation of the property to the Central Government. If the Special Court reaches the conclusion that the offence has not taken place, it shall order release of such property to the person entitled to receive it. Decisions of the adjudicating authority of first instance can be appealed to the Appellate Tribunal created under the Act. It is to be noted that the Adjudicating Authority under this section is concerned with questions of continuation of attachment and/or retention of property involved in money laundering and not the trial of offence of money laundering or the scheduled offence, which function falls for a judicial trial by the Special Court. The Adjudicating Authority has been given vast powers of discovery, inspection, compelling production of records as per S.11 of the Act. Section 11 spells out the powers of the Adjudicating Authority in discovery of facts, Section 50 does so in respect of a Director. Needless to state, being a quasi judicial authority, both of them have to conform to the principles of Natural Justice. As per established principles, following duties are imposed on quasi judicial authorities :- (i) A quasi-judicial authority ought not to make any decision adverse to a party without affording an opportunity of meeting the allegations made against him; (ii) The party whose rights are to be affected should be provided with the information upon which the action is raised and the affected party should have reasonable notice of the case which he has to meet/face. Of course, an opportunity is to be provided to the affected party which must be real, reasonable and substantial too; (iii) The affected party should have the opportunity of letting in/adducing evidence which he relies upon. 9A. Whether an accused can be called upon to disclose documents and give statements, or can he exercise the right to silence? Section 11(2) & S.50(3) of the PMLA makes it mandatory for a person so summoned by the adjudicating authority to attend in person and bound to disclose documents as may be required, and answer such questions as are put and for the purposes of these sections, the adjudicating authority is considered a ‘court’ and proceedings ‘judicial proceedings’. Moreover, Section 50(1) prescribes taking of affidavits on oath with respect to discovery of facts. On a plain reading, any person will include an accused person too. Now, whether the accused can be compelled to disclose documents and disclose facts is a serious question as it makes serious inroads into the constitutional right of silence of the accused and protection from self incrimination, as guaranteed under Article 20(3) of the Constitution. However, the law as it stands makes the statement recorded before the Investigating officer under PMLA admissible in evidence before the Court.7 (This, it may be noted, is in stark contrast to any other criminal prosecution where statements given to Police during investigation are not admissible in evidence during trial). 10. POWERS OF THE ENFORCEMENT DIRECTORATE RELATING TO SEARCH, SEIZURE AND ARREST. Section 17 gives wide powers of search and seizure to the investigating agency. If the investigating agency has reason to believe (and such belief should be recorded in writing) the commission of offence under the PMLA and possession of proceeds of crime, it can enter and seize property/records etc, make an inventory of the same. The seizure memo is required to be signed by two independent witnesses. Whereas this section provides for search of premises, Section 18 provides for search of an individual. If the investigating authority has a reason to believe that a person has secreted about his possession, ownership or control, proceeds of crime, in that case the person can be searched. Before the search of a person, as per his wish, the authority shall take the said person before a Gazetted officer superior in rank to the authority or a Magistrate within 24 hours excluding the time of journey. This is the safeguard laid down in S. 18(4) of the PMLA, however, strangely there is no corresponding obligation on the investigating agency to inform the person about to be searched of this valuable right. Something akin to a Miranda warning will be apposite here. The property seized has to be forwarded to the adjudicating authority for further orders. The offence is cognizable which means arrest can be made without a warrant.8 Section 19 gives the authority power to arrest. Standard safeguards relating to arrest apply. Every person arrested has to be produced before the Magistrate within 24 hours (excluding time of journey). The provision also mandates that such arresting official has to forward a copy of such arrest memo with the material in his possession to the adjudicating authority in a sealed envelop as per the procedure prescribed. Section 45 of the PMLA makes the offence of money laundering non-bailable, which means that a person arrested is not entitled to bail as a matter of right, and bail becomes a matter of discretion for the court. If the predicate offence provides for punishment more than 3 years, then there is an embargo on release on bail, unless either the offence concerns a child, woman, sick or infirm; if not, then bail can only be granted after hearing the Prosecutor and only after the court comes to the conclusion that “there are reasonable grounds for believing that he is not guilty of such an offence and that he is not likely to commit any offence while on bail”. Now this is an extremely tall order, especially having regard to the fact that the matter is usually at a preliminary stage when the question of bail is being decided. For a court to record a finding, at that stage, that there are no reasonable grounds for believing commission of the offence is an unnaturally high threshold. Usually the prosecution will prepare the case in such a way so that it contains the basic allegations and there is a very less likelihood of it being thrown out at the very outset. Once that is done, the court, at the stage of bail, will normally not be in a position to return a finding of non-guilt in favour of the accused. This makes serious inroads into the right & presumption of innocence in favour of the accused. An accused is presumed to be innocent till his guilt is proved beyond reasonable doubts. Pre-trial incarceration is frowned upon by law, as it carries a substantial punitive content and has a stigmatic effect. Such incarceration is not only a denial of ‘due process’ but prejudices the accused in the preparation of defence of his case. Secondly, if in a case, the court releases the accused on bail, in view of the above findings and at the same time frames charges against him and takes the matter to trial, would not the two findings be mutually destructive of each other. These are some of the major anomalies with this provision and a serious constitutional challenge can be mounted on this provision on the above grounds. 12. CAN A COMPANY AND ITS DIRECTORS/MANAGERS/SECRETARIES BE ACCUSED OF OFFENCE UNDER PMLA ? Section 70 of PMLA deals with offences by Companies. It states that where a person committing a contravention of any of the provisions of this Act or of any Rule, Direction or Order made there under is a Company (company” means a body-corporate and includes a firm or other association of individuals), in that case: every person who, at the time the contravention was committed, was in charge of, and was responsible to the company, for the conduct of the business of the company as well as the company, shall be deemed to be guilty of the contravention and shall also be liable to be proceeded against and punished under PMLA. This is an instance of what is known as ‘Vicarious Liability’ where liability for the acts of the company is also attributed on the individuals heading responsible positions in the company on the premise of them being the alter egos/nerve-centers of the company. The possible defence and exception to this is for the individual to argue and prove that the contravention took place without his knowledge/despite all due diligence. S.70(2) further provides that if the contravention has took place with the consent or connivance of, or is attributable to any neglect on the part of any Director, Manager, Secretary or other Officer of any Company, such Director, Manager, Secretary or other Officer shall also be deemed to be guilty of the contravention and shall be liable to be proceeded against and punished accordingly. Under Section 12 of PMLA, there is a mandate on all Banking Companies, Financial Institutions and Intermediaries to maintain records of all transactions, including information relating to transactions for a period of 5 years, in such manner as to enable the investigating agency/Court to reconstruct individual transactions and find out criminality. The aforesaid agencies are required furnish to the concerned Authorities under PMLA, all information relating to such transactions, whether attempted or executed; the nature and value of such transactions; verify the identity of its clients and the beneficial owner, if any; and maintain record of documents evidencing identity of its clients and beneficial owners as well as account files and business correspondence relating to its clients. Since the offence of Money laundering is inextricably connected with the scheduled offence, 2013 amendments to the PMLA provide that the trial for the predicate offence as well as offence punishable under Section 4 shall be conducted by the Special Court. If a Court which has taken cognizance of the scheduled offence is other than the Special Court (which has taken the cognizance of the complaint of the offence of money laundering under sub-clause (b), it shall, on an application by the authority authorised to file a complaint under this Act, commit the case relating to the scheduled offence to the Special Court and the Special Court shall, on receipt of such case proceed to deal with it from the stage at which it was committed. 9 However, this by itself should not be construed to mean a joinder or clubbing of trial. The simultaneous trial in both the cases by the same court is an expedient to reduce delays. Needless to state, both the cases are independently tried and decided on the basis of evidence in each case. The trial of scheduled offence and PMLA offence is to be conducted by the same court – only for the sake of expediency. It would be a truism to say that the offence of Money Laundering is inextricably linked with the scheduled offence and, logically, an exoneration in the latter should, by itself, lead to an acquittal/discharge for the offence of money laundering too. This view seems not only just and legal but also deserves to be adopted for its eminent common-sense, for if there is no scheduled offence, there cannot be any ‘proceeds of crime’ either, as the ‘crime’ in the phrase ‘proceeds of crime’ is nothing but the scheduled offence. In other words, the Special Court trying the PMLA case cannot conclude, without the scheduled offence being proved, that some property associated with that offence is tainted as ‘proceeds of ‘crime. For something to be ‘proceeds of crime’ there has to be a crime in the first place. Any other view would make the two judgments mutually inconsistent, absurd and contradictory. Therefore, an acquittal/discharge in the predicate/scheduled offence should ipso facto lead to exoneration in the PMLA offence too. Infact, since it is the same Court which tries both the scheduled offence and the PMLA case (arising out of the scheduled offence), a discharge/acquittal in the scheduled offence itself leads to a discharge/acquittal for the PMLA offence too. A conclusive decision by the Hon’ble Supreme Court is required on the matter so as to settle the issue. It may be noted that this provision cannot be construed to mean that the Enforcement Directorate (the investigating body under the PMLA) can investigate into the scheduled offences also. Investigation for each of the offences is to be done by agency(agencies) authorised under the respective acts. Investigation by an agency other than ED for an offence under PMLA may open the entire investigation (and its result) to challenge. Keeping in view the difficulty of investigation in complex cases like money laundering, PMLA makes a departure from the standard rule of presumption of innocence and raises certain presumptions. This is an application of the ‘doctrine of reverse burden’. Such provisions, needless to say, make the defence of a PMLA case quite challenging. Section 24 of the PMLA casts the burden of proving that (alleged) proceeds of crime are not involved in Money Laundering on the Accused. This prima facie appears harsh, but on a deeper scrutiny it seems that this section will not relieve the prosecution of its responsibility of making a specific allegation that the monies that are allegedly being laundered are earned by committing a particular schedule offence or offences under the PMLA and are, therefore, proceeds of crime. The section cannot be read so as to obviate the requirement for the prosecution to prove these foundational facts. Any other view shall seriously undermine the fairness of the process, as one has to keep in mind that negative proof (proof of innocence, as opposed to proof of commission), by its very nature, is extremely difficult to be established. It is always easier to prove a positive, than a negative. The language of Section 24 (a) demonstrates that a person should be ‘charged’ for an offence under Section 3, in order for the presumption to follow. Charge has to be read to mean a specific charge and not a vague and omnibus allegation. However, once that charge is made, the accused will have justify that the property is not tainted with vice. This can be done by making it reasonably probable that the property is legitimately acquired by lawful means. He can disclose his sources of Income, Earnings or Assets, out of which or means by which he has acquired the property attached. As per fairly established principles of standard of proof, the accused does not have to prove all this to the hilt or beyond all reasonable doubt, but on a standard of preponderance of probability, that is to say, that it is more probable that the property is above board, than not. Where proceeds of crime are layered through plural transactions, the intent to camouflage the source of the property as a derivative of criminality renders it difficult to identify the succeeding transactions as relatable to the initial proceeds of crime. It is for this reason and to effectuate the purposes of the Act that Section 23 incorporates the presumption that where money-laundering involves two or more connected transactions and one or more such transactions is/are proved to be involved in money-laundering, then for the purposes of adjudication or confiscation under Section 8, it shall, unless otherwise proved to the satisfaction of the adjudicating authority, be presumed that the remaining transactions form part of such interconnected transactions i.e., involved in money-laundering as well. (Section 23 of PMLA). A notable feature is that there is no upper limit on the fine that may be imposed for an offence under the PMLA. The obvious intent is for the fine imposed to be commensurate to the nature and extent of offence committed and the money laundered. Money laundering poses a serious threat not only to the financial systems of countries, but also to their integrity and sovereignty. To obviate such threats, certain legislations including PMLA, have been enacted. The above analysis of the PMLA manifests that the Act, although extremely well intentioned, compromises on the fundamental principles of natural justice, fair trial and due-process. In its enthusiasm to fight black money, the Act transgresses upon basic rights and liberties. Some of the provisions under the Act are legally and jurisprudentially unsound and tenuous and may not pass constitutional muster. Since the Act is fairly new, it is expected that the Hon’ble Courts would interpret/strike/read-down these provisions in such a manner, so as to make the Act less prone to arbitrary exercise of power and ensure that its operation is constitutionally compatible. 3. Chahagan Chandrakant Bhujbal v. Union of India, 2016 SCC OnLine Bom 938. 4. Section 44 of the PMLA. 5. If the proceeds of crime involved in money-laundering relates to any offence specified under paragraph 2 of Part A of the Schedule, the provisions of this section shall have effect as if for the words “which may extend to seven years”, the words “which may extend to ten years” had been substituted. Section 4 – proviso. 7. Section 50(2) and 50(3) of the PMLA. The person summoned is bound to attend and state the truth upon any subject respecting which they are examined or make statements and produce such documents as may be required. These proceedings are deemed to be judicial proceeding within the meaning of Section 193 and 228 of the IPC. The proceedings relating to perjury/contempt of court apply with respect to these proceedings. 8. Chahagan Chandrakant Bhujbal v. Union of India, 2016 SCC OnLine Bom 938. 9. Section 44 of the PMLA.